How did this happen? 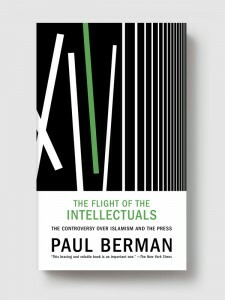 In THE FLIGHT OF THE INTELLECTUALS, Berman— “one of America’s leading public intellectuals” (Foreign Affairs)—conducts a searing examination into the intellectual atmosphere of the moment and shows how some of the West’s best thinkers and journalists have fumbled badly in their effort to grapple with Islamist ideas and violence. Berman’s investigation of the history and nature of the Islamist movement includes some surprising revelations. In examining Hassan al-Banna, the founder of the Muslim Brotherhood, he shows the rise of an immense and often violent worldview, elements of which survives today in the brigades of al-Qaeda and Hamas. Berman also unearths the shocking story of al-Banna’s associate, the Grand Mufti of Jerusalem, who collaborated personally with Adolf Hitler to incite Arab support of the Nazis’ North African campaign. Echoes of the Grand Mufti’s Nazified Islam can be heard among the followers of al-Banna even today. In a gripping and stylish narrative Berman also shows the legacy of these political traditions, most importantly by focusing on a single philosopher, who happens to be Hassan al-Banna’s grandson, Oxford professor Tariq Ramadan—a figure widely celebrated in the West as a “moderate” despite his troubling ties to the Islamist movement. Looking closely into what Ramadan has actually written and said, Berman contrasts the reality of Ramadan with his image in the press. In doing so, THE FLIGHT OF THE INTELLECTUALS sheds light on a number of modern issues—on the massively reinvigorated anti-Semitism of our own time, on a newly fashionable turn against women’s rights, and on the difficulties we have in discussing terrorism—and presents a stunning commentary about the modern media’s peculiar inability to detect and analyze some of the most dangerous ideas in contemporary society. 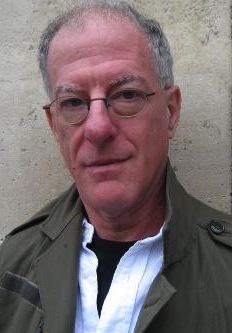 PAUL BERMAN is a writer-in-residence at New York University’s Arthur L. Carter Journalism Institute. His articles and reviews have appeared in The New York Times, the New Republic (where he is a contributing editor), Dissent and various other American, European, and Latin American journals. He edited the Library of America’s Carl Sandburg: Selected Poems and is the author of A Tale of Two Utopias, Power and the Idealists, and the New York Times bestseller Terror and Liberalism.